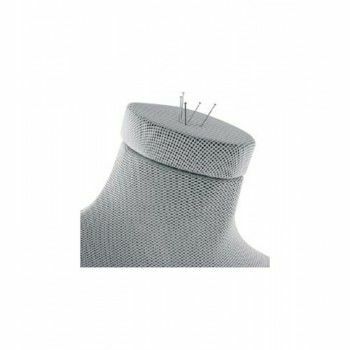 Mannequins Online presents this flexible display mannequin. This man mannequin is covered with gray fabrics, carbon effect. 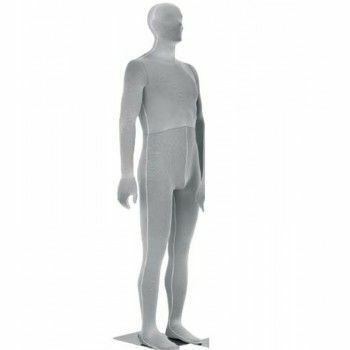 This male mannequin is articulable and comes with a square metal base. You can manipulate this model in more than 100 positions. It is gray in color but comes in black. Articulable, this window mannequin is superb value for your collections with dynamic and original positions. Flexible mannequin available in delivery. Male window mannequin with carbon finish, flexible window mannequin with more than 100 positions available. 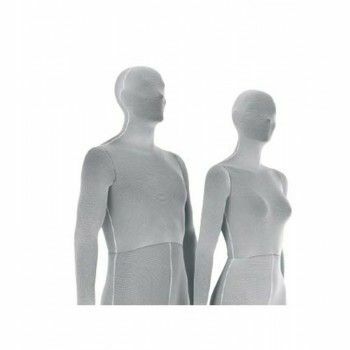 mannequin available in grey and black finish.